I few years ago I started up a relationship with a company called The Editorial Department. At the time they did manuscript editing, but with all the changes in publishing in the last few years they decided it would be a good idea to offer book cover design and layout services as well. TED now has a fantastic roster of 10 or so designers and illustrators. Of which I am privileged to be one. 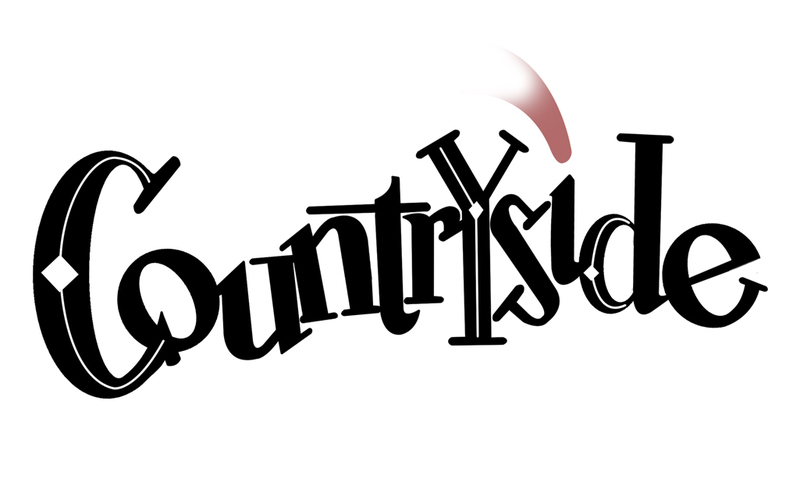 Last year a client named Jesse Cope came to them with a manuscript called “Countryside”. 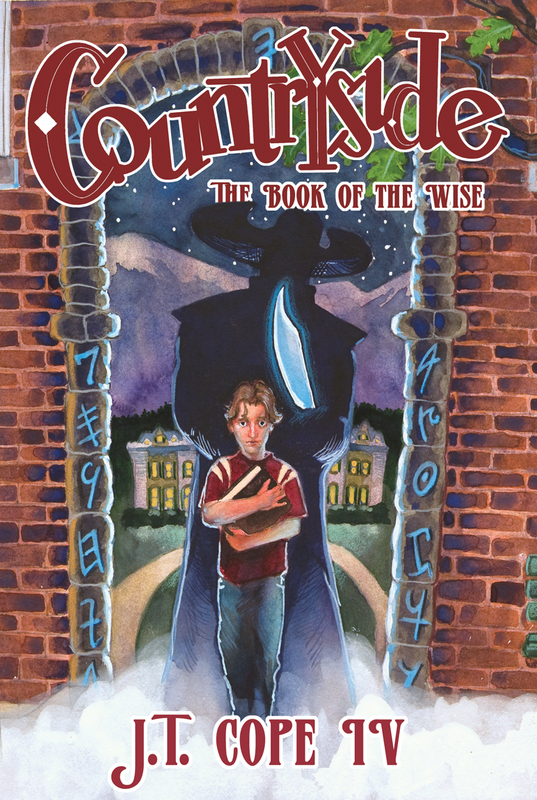 “Countryside” is a Young Adult story that reads a lot like Harry Potter set in Texas Hill Country. After reading the manuscript and chatting with Jesse we came to the conclusions that we didn’t want to do a cover that featured a specific moment in the story. Nor did we want the cover to be a simple icon-like image that just gave an over all impression of the story’s mood. What Jesse really wanted was something that touched on the story, but didn’t actually tell the story. Something that had a lot of elements from the story to to be discovered the longer you looked at it. There was a lot of fertile ground to pull from so I went about sketching possible ideas. Not only was I going to illustrate the cover, I was going to design it too. So I had to consider fonts, layouts and the title as well. The strongest sketch I had was the one above. It features the young lead clasping the “Book of the Wise” and standing in front of a portal that leads to the magical land of Countryside. Framed behind the hero is a dark cowboy figure that adds some mystery and menace to the visual story. My first attempt a the title sits above the boy hero’s head. Since the story takes place in two worlds I though it would be a good idea to make the title type look like two different fonts with the letter ‘Y’ serving as the portal between the two. We decided that the “two font title” idea was too confusing so I went for something more traditional. The diamonds and lines in the larger letters are inspired by the embellishments on a leather saddle I once saw. A red comet also figures into the story, so I added that at the tittle of the “i”. It was important that the art have a distinctly southern feel, so I set about looking for, and creating, reference that would help me build the the world. I have never been to Texas Hill Country, so I had to rely on the author for some guidance. I found suitable shots for the buildings from a street in Austin TX. The old Daisy Theater in Memphis, TN is the building with the rounded shell opening. I shot reference of myself as the boy and used my wife Casey as the tree nymph on the far right. The runes are based on an ancient Hebrew writing. 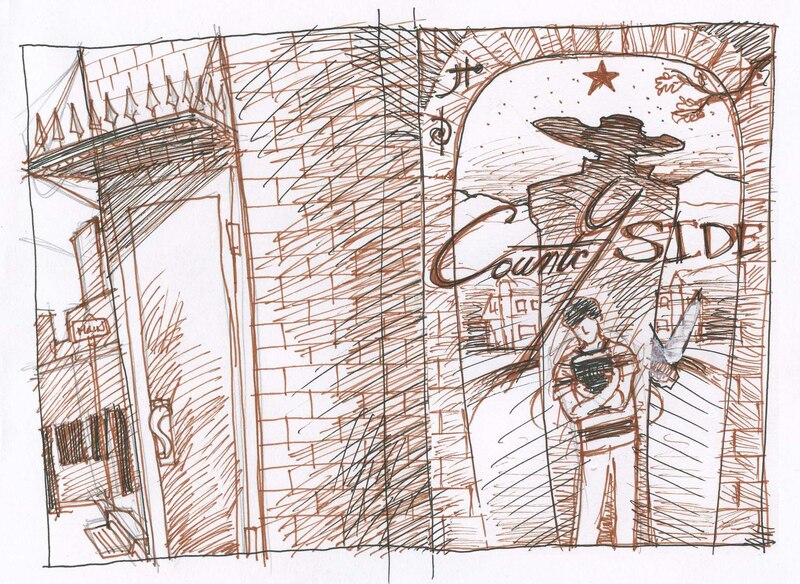 The finished drawing above is the complete of wraparound cover. Then it was on to painting. I knew I wanted the art to be warm and colorful so I painted the scene at sunset. The final cover art is above with the title and author placement. this is AMAZING Mark, it really is! Great work! I�ll hit you up with an email soon, catch up on all things me� Biggest news is, I would up turning down the job in Bethesda, MD at the very last minute when I got an amazing offer for another job I was interviewing for, in Arlington, VA, and I would up taking it. Started this past Monday! Still gonna freelance my comic book work though, so best of BOTH worlds now, I�m really really happy!